Prior to Deflategate, and in its early stages, the national media was extremely quick on the draw to bash the NFL’s longest running Dynasty. Deflategate changed all that when reporters gained access to and started looking at the facts. Redskins writer Sally Jenkins of the Washington Post has continually come to bat for the Patriots in some of the most stinging indictments of Roger Goodell and his NFL imaginable. She has called him “a political bungler and and dunce,” among other choice words. Houston Texans writer and attorney Stephanie Stradley debunked the commissioner time and time again. So did many others. The longer the Deflategate saga wore on the more prominent writers from outside of Patriots nation began to speak up, calling out the league for its absurdity and its clumsy attempts to use Deflategate to hide the serious issues of domestic violence and concussions. Meanwhile a new league developed; one that was composed of some of the most respected scientific minds from the nation’s most prestigious universities. Paper after paper was published explaining the ideal gas law, and debunking the manipulated claims of the NFL’s expert, junk science firm, Exponent. 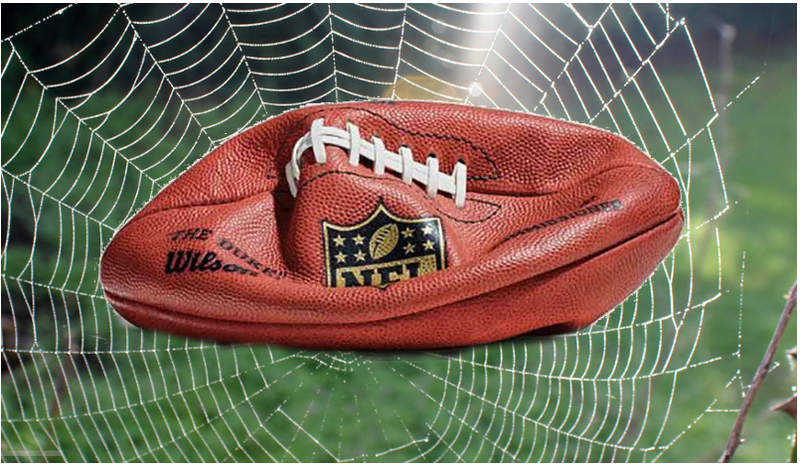 Some scientists went so far as to submit amicus briefs to the court explaining the physics behind the naturally deflated footballs. I’m sure they were incredulous that a multi-billion dollar corporation wasn’t capable of comprehending basic science that a seventh-grader was able to demonstrate for a middle-school science-fair project. People noticed. While the NFL spent millions to convince the courts of their correctness, the most prominent sports attorneys in the country – people like UNH law professor and Sports Illustrated legal analyst, Michael McCann, top-rated sports law gaming and appellate attorney Daniel Wallach of Becker and Poliakoff, and Dan Werly, managing editor of ABA Journal’s top-ranked sports law blog, the White Bronco – defended Tom Brady – free of charge in the court of public opinion, and in doing so, put a flashlight on the inequities of the league’s collective bargaining agreement for all to see. “Oh, what a wicked web we weave when once we practice to deceive.” It’s seems the dear commissioner has spun quite the gossamer tangle for himself. So as I said at the beginning of this piece, why all the sad, angry faces, my friends? Cheer up! So does Brady have any advice for the league after its investigation concluded that Brady deserved a four-game suspension? “I’ll leave that to all the Patriots fans, I’m sure they have pretty strong opinions, too,” Brady said. Did you catch that? Brady’s leaving this in the hands of his fans. Let’s not squander the opportunity – and let’s not be one trick ponies either. The NFL has experienced the worst ratings fumble in its history. Confidence in and approval for the NFL has plummeted to unprecedented depths. Lies continue to surface, so keep the momentum going. Air pressure alone will not, unfortunately cost Goodell his job, but lost revenue might just do the trick. So let’s broaden the scope of our discontent. Anheiser Busch picked up on the public outrage of the Ray Rice debacle, and nearly cancelled their affiliation with the NFL, so let’s give them a few more reasons to consider doing so. There’s plenty to be outraged about so pick an issue. How about concussions? The league has failed miserably here and it’s costing many former players their lives. The NFL presents its billion dollar concussion settlement as an act of philanthropy without admitting any fault or liability. Thousands of deserving players have been excluded from the settlement and even those who are fortunate enough to be covered are probably not going to see the level of relief they anticipated. The billion dollar pay-out is scheduled to happen over a 65-year period. That comes to a little over $15 million per year – with the highest pay-out being placed at $5 million, only three players per year would qualify for the highest level of benefits – unless of course they were to pay all applicants initially and then begin denials based on “Sorry, the money ran out.” Even if the puny settlement is managed in a reasonably responsible way, the players won’t see the full amount. Medicare is entitled to collect reimbursement on funds expended on recipients of a class action suit such as this. Christopher Seeger, lead counsel for the plaintiffs will negotiate with Medicare for the best deal possible, but the so-called medical liens will be deducted from any lump-sum settlements. One more thing to consider – the NFL Club owners are billionaires most of whom independent of the league could afford to finance this – it might cost them a few cars, houses and yachts, but they could do it if they had to. Meanwhile annual league revenue is over $13 billion. They could pay this sum annually and still have an enviable amount of money left over. Without adjustments for inflation or any other calculations, if the league continues to bring in this kind of income for the next 65 years – the term of the settlement payout – they will have amassed $845 Trillion dollars in that time frame. Their settlement payouts would equate to most of us handing a dollar or two to the Salvation Army bell ringer. If this isn’t enough players are being denied disability benefits though the retirement plan that they paid into at a pandemic rate. Check out the stories of Darryl Ashmore and Jesse Solomon they are representative of so many former players who are pushed to the sidelines after giving the game their all. How about domestic violence? Would you like to see the league doing a better job of handling that? Did you know that the artificial turf that some teams play on for all their home games and others play on when they visit is backed on concrete and responsible for numerous injuries (that of course the players won’t be compensated for when they apply for their disability)? Did you know that its chemical composition has carcinogens linked to cancer and that four former players have died from brain cancer, most likely as a result? You want to see Roger Goodell ousted? Well here’s the ammo. In times of war, a smart strategist will flank the enemy from all sides. So find your position and play it like Tom Brady with a chip on his shoulder. After all, he did just give his permission for the fans to take on the NFL. Let’s show him what we can do.